New Delhi April 17 (IANS) National Rifle Association of India (NRAI) president Raninder Singh on Tuesday said he will write to the Indian government to boycott the Commonwealth Games in 2022 over the Birmingham Organising Committee (OC) decision to drop the shooting discipline from the Games programme for the 22nd edition. Raninder also informed that he would be raising the issue with IOC president Thomas Bach who will be visiting India from April 18-20 to meet the newly-elected executive body of the Indian Olympic Association (IOA). "It s absolutely unfair to treat a major Olympic discipline in such a shabby manner by the Birmingham CWG organisers " Raninder said during a function here to felicitate the Indian shooters who returned with a rich haul of 16 medals from the Gold Coast CWG. "India is a strong nation in shooting and they can t take away the sport from us. I would request the Indian government to boycott the Games. I will be raising this issue with Bach as well. "This is unfair. I will be writing to the sports minister (Rajyavardhan Singh Rathore) and IOA president (Narinder Batra) to work towards getting the shooting included. I have a luncheon meeting scheduled with Bach and I will request him to look into the matter " he added. Raninder said that he has been in personal touch with CGF president Louise Martin and other Olympic Council of Asia (OCA) members to get this "ridiculous" situation corrected. "ISSF had three set of meeting with the Birmingham organisers in the presence of Martin and the Commonwealth shooting federation president. "They believe that to create structure for shooting ranges will be expensive. I will request them to hold the shooting events in Brisley which is just 70km away from Birmingham " he said. Recently Rathore wrote a letter to the CGF president and Birmingham OC requesting them to reconsider their decision to drop shooting from the Games. However CGF CEO David Grevemberg had in a communication to all Commonwealth Nations in February had categorically stated that there will be no going back on the decision since shooting has always been an "optional" sport. In another significant announcement the NRAI chief revealed that India will skip the forthcoming editions of ISSF World Cups in the US and Malta with a view to keep the shooters fresh for the bigger challenges ahead most importantly the ISSF World Championships in Changwon South Korea and Asian Games in Jakarta. The Changwon World Championships will double up as a qualifying tournament to secure quota place for the 2020 Tokyo Olympics. 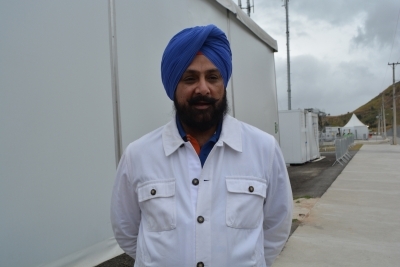 On the issue of India skipping the World Cups Raninder said the decision was more of a "strategic" one keeping in mind the recovery of Indian shooters. "These shooters are not machine where I ll keep on asking them to compete and they will keep on bringing medals. They also need the recovery time " he said. 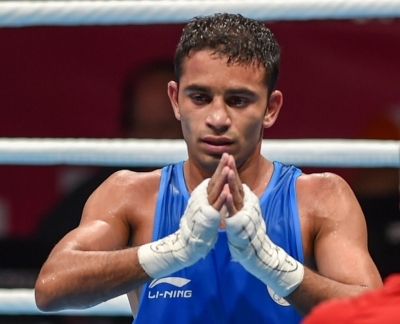 "Earlier our focus was the Asian Games but now the focus has shifted to the World Championships where the Olympic quota places will be decided. "We will replace these World Cups with an in-house technical camp in India. However the shooters will go to the Korea and Munoch World Cups " he added. The US World Cup for Rifle and Pistol in Fort Benning is from May 7 to 15 while the Malta Shotgun World Cup is scheduled from June 5 to 15.